We are excited about hosting a session at this year’s AGU in New Orleans. We hope to bring together a wide range of research from catchment hydrology, the cryosphere, snow hydrology and atmospheric sciences. 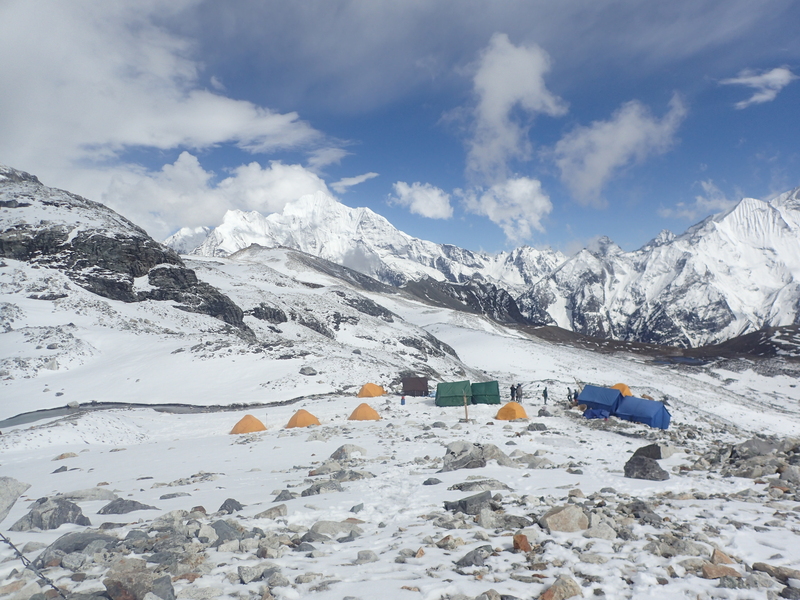 Two invited lecturers – Dirk Scherler from GFZ and Duncan Quincey from the University of Leeds – have agreed to give insights into recent forays in their field sites in High-Mountain Asia. Deadline for submissions is the 2nd of August – we look forward to see many of you there. High-mountain catchments play an important water supplying role and are sensitive to climate change. Yet the monitoring and modelling of such regions remains a challenge, due to poor accessibility, limited data availability and the lack of numerical models that address key cryospheric and hydrological processes in sufficient physical detail. This session brings together studies that focus on integrating observations, remote sensing and numerical models with the aim to understand present and future glacio-, hydro- and meteorological processes in mountainous regions. It focuses on advances in understanding high-altitude meteorology, feedbacks between the cryosphere and atmosphere, glacier and snow dynamics, climate change impacts and the associated hydrological response. The session welcomes in particular studies that: i) link results from atmospheric modelling to the high-altitude water cycle, (ii) advance the process understanding of glaciers, snow and the hydrological cycle, (iv) quantify hydro-meteorological extremes, and (v) assess impacts of climate change using process-based modelling.